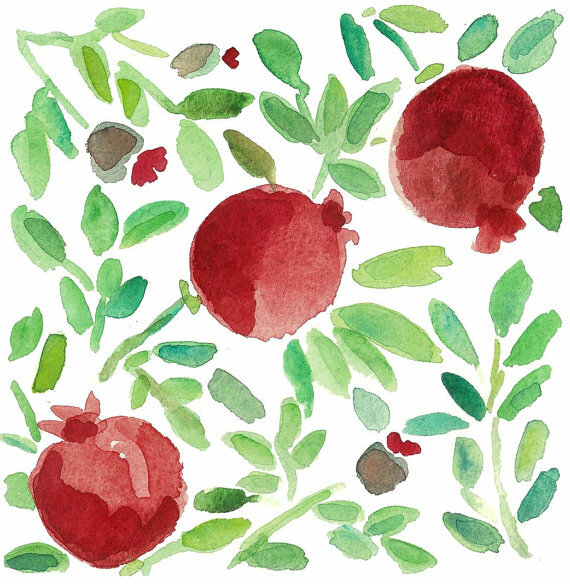 Sharing some beautiful watercolors of pomegranates, apples and honey to celebrate Rosh Hashanah today and wishing family and friends a very happy and sweet New Year! I love North Carolina artist Carol Hovey's eye for color and her application of water that make the colors blend together so beautifully. 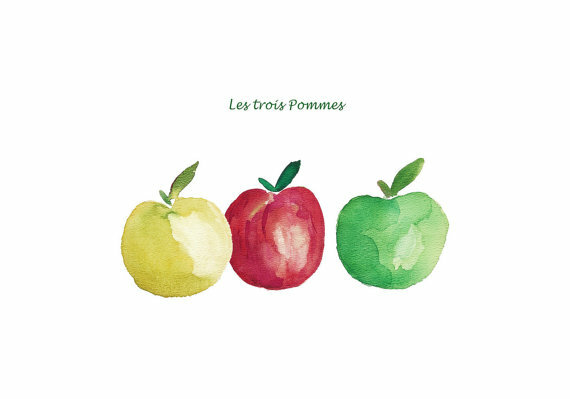 Visit her website to see more of her lovely paintings! 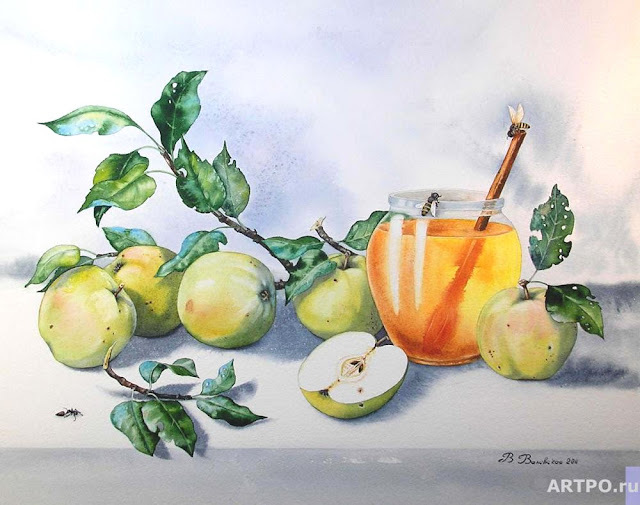 Beautiful watercolor of sweet apples and honey from Valevskaya Valentina from Odessa, Ukraine. The amazing detail of her paintings truly make them seem real at first glance. Her still life paintings are beautiful. 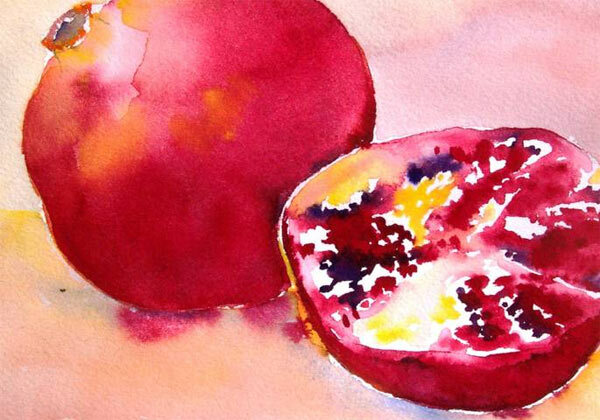 See more of her watercolors here. 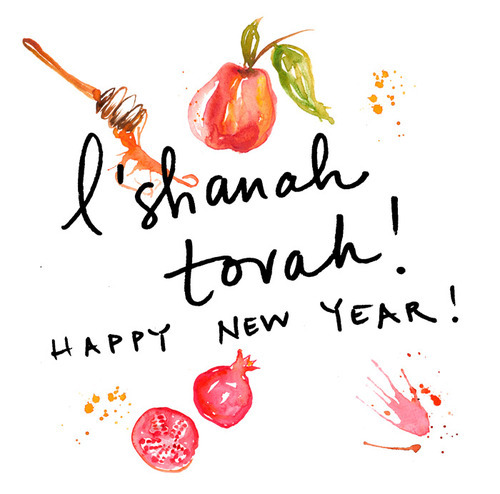 I love the watercolor prints by Yael Berger from Tel Aviv, Isreal. Her vibrant use of color makes her paintings alive and happy. I'd love to arrange several on a wall in my kitchen! Visit her shop, The Joy of Color, on Etsy to see more of her work. You'll be glad you did!